The Morris M42 is the ultimate sailing companion for the astute sailor who needs a boat to accommodate anything from a solo daysail to a long weekend adventure with guests. INGLESEA's custom two-stateroom layout enables those grand adventures to be shared with more friends and family. 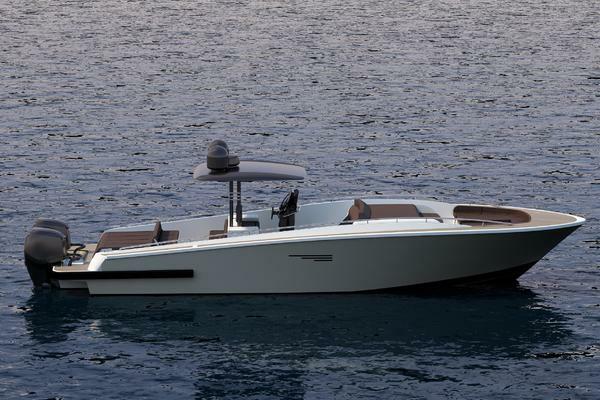 Designed by Sparkman & Stephens, this timeless design with modern underbody will excite any sailor, whether they're on board or a friendly onlooker. Lovingly cared for by her original owner to the highest standards, INGLESEA is in excellent condition and a showing will not disappoint. No boat is easier or takes less time to get underway than INGLESEA, it truly feels like the boat is working for you. The Leisurefurl boom and Harken roller furling headsail allows the sails to neatly deploy and stow with a press of the button. No more flaking or wrestling with the main. The M42 handles with such grace and agility, you will find it unnecessary to turn on the engine to find a location to hoist sails, even if you choose to sail alone. Simply cast off the mooring with the full main and weave your way out the harbor with fingertip control. While at the helm, INGLESEA offers all necessary controls for simple and enjoyable sailing whether by yourself or with guests. A true joy to sail, any gust of wind translates to quick acceleration with a beautifully balanced helm. The Edson steering pedestal is flanked by two pods which host all necessary control lines, electric winches, and electronics all within arms reach. Whether you choose to sit to windward or leeward, the helmsmen has button controls for each electric winch. Walking forward from the wheel is all one level with plenty of space to move freely. The seating just forward of the helm is 6' long and is great for lounging or seating 6 adults. Special attention was given to the interior layout of INGLESEA by allowing the owner to bring guests for a long weekend adventure. The head to port was moved forward to allow ample space for a private quaterberth. Privacy was also added to the forward cabin with the design of two beautifully crafted raised panel pocket doors. The interior is finished in the traditional herreshoff design with white bulkheads and solid cherry hardwood varnished in high-gloss. The cabin sole is teak. Additional customizations were introduced by adding more raised paneling on the forward and midship bulkheads. Centerline, a beautifully crafted table extends to accommodate for dining below. The removable table is flanked by a strait settee to starboard (with a Pullman to gain an additional 6” when sleeping) and a settee to port (which seats two). A modern butterfly hatch, large windows, and opening stainless steel hatches bring in plenty of natural light and ventilation. Anchor deployment system w/ manually rotating arm and integral anchor roller in foredeck locker. (6) Morris custom cast stainless steel toe rail chocks.